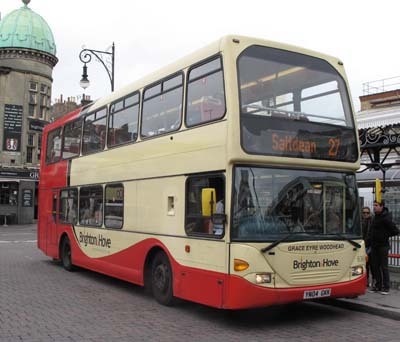 Connections with Brighton and Hove : This pioneer in mental health started her work at the end of the nineteenth century. 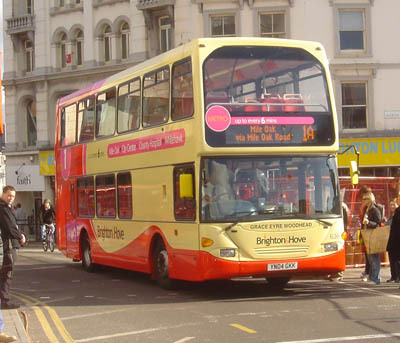 She started a scheme to arrange holiday homes in Brighton for London children who had special needs. It was almost unheard of in those days to take people with mental handicaps out of care and into the community. As a result of her work, the Guardianship Society was formed and in 1988 the name was changed to the Grace Eyre Foundation. 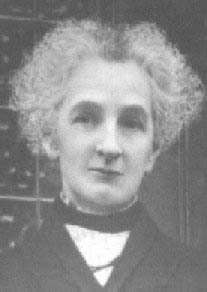 Miss Woodhead died in 1935 but her work lives on in many ways in the city. The Foundation deals with adults who have learning difficulties. rather than children, and gives them care and support. 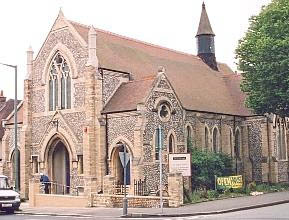 It started in 1914 with a day centre in Brighton offering industrial training and in 1950 moved to Hove, taking over an old Methodist church in Old Shoreham Road, which became the Avondale Centre. In 1998 the Foundation opened a second day centre in Hove for elderly people with learning difficulties, this time in Walsingham Road, Centenary of the Foundation. 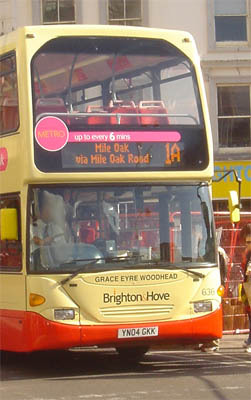 636 Scania Omnidekka carried name since delivery in February 2004, on METRO Line 1. Metro 1 branding removed April 2012. 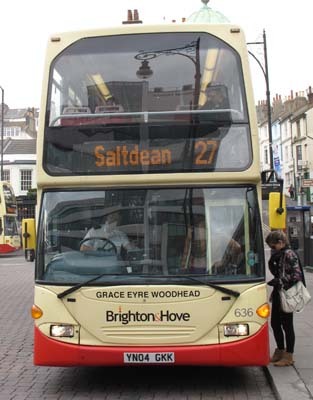 Between 7 March and 19 March 2013 bus displayed retiring Roger French's name.